Yes, 100 calendar min. Add a $110.00 for Setup. Basic custom imprint setup & PDF proof included! Desk pads keep a customer's name in front of potential clients on a daily basis. 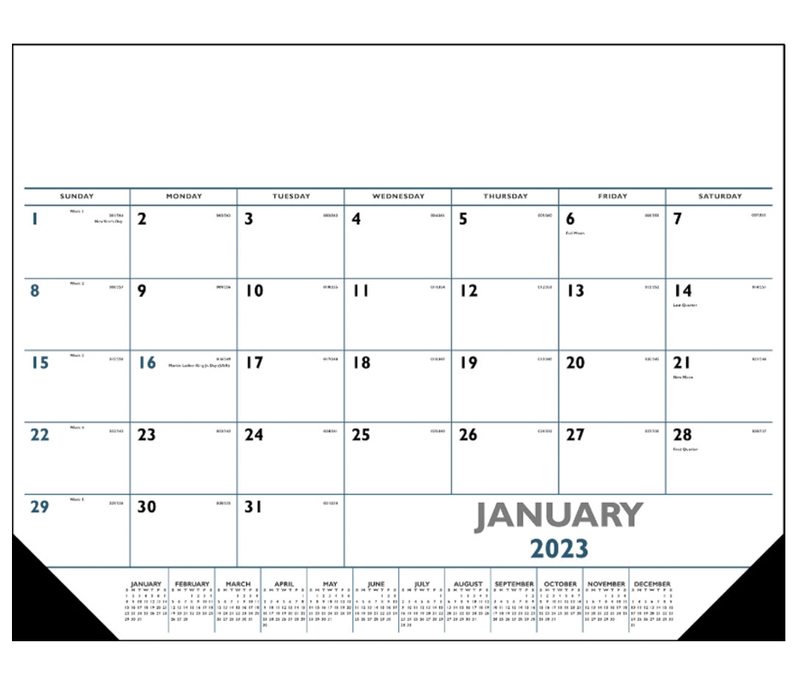 Date grid includes Julian dates making it perfect for financial, construction and manufacturing markets. Vinyl corners provide an attractive frame and durability at no extra charge. 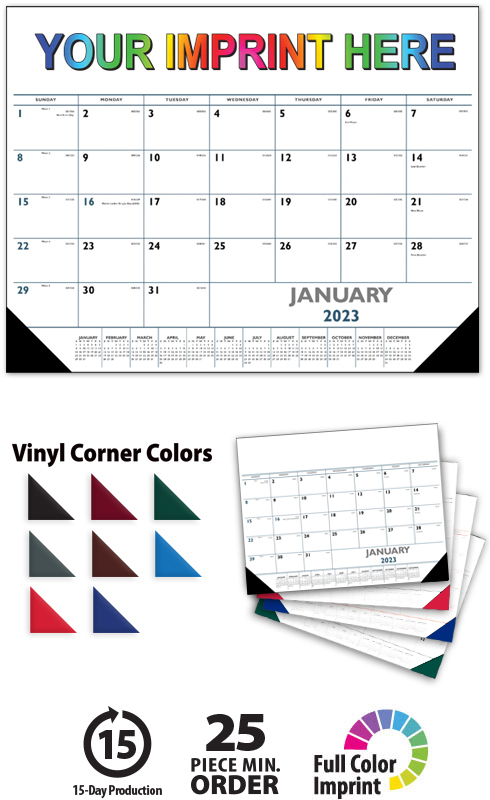 This high-quality Blue & Black Desk Pad Calendar will proudly display your message for the entire year!